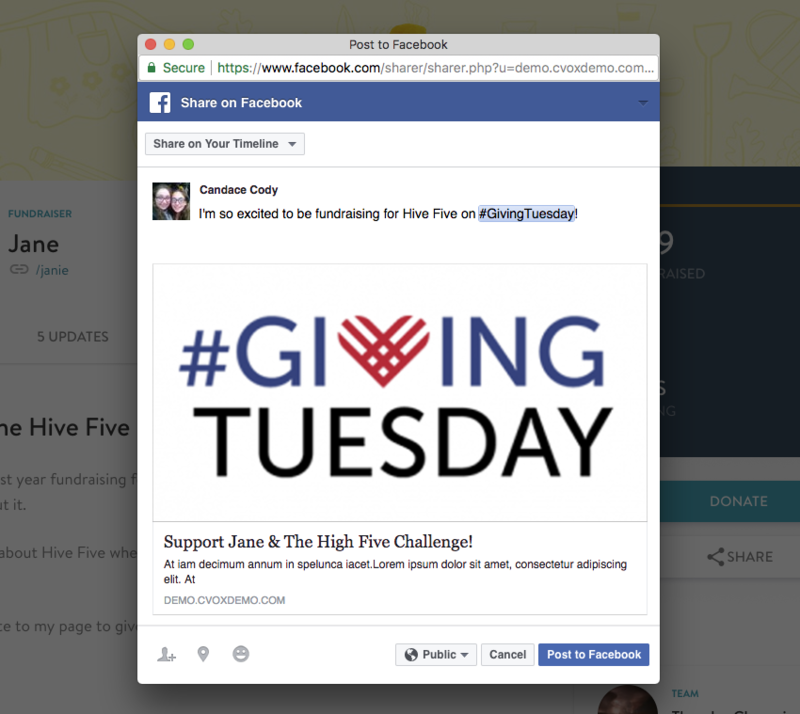 There's two ways you can share your fundraising page on social media though the platform: using the social sharing tools on your page, and using the social sharing tools on in your fundraising page account. 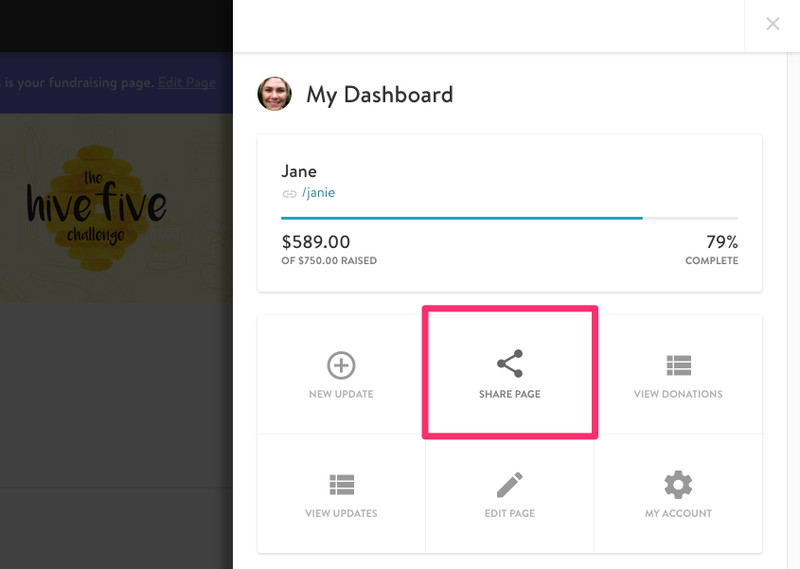 Step 1: Navigate to your personal fundraising page and select the share button. Step 2: Select your preferred social media platform to share your page on. Step 3: After you have added your message, post or send it. Step 1: Log into your Personal Fundraising Page Account. 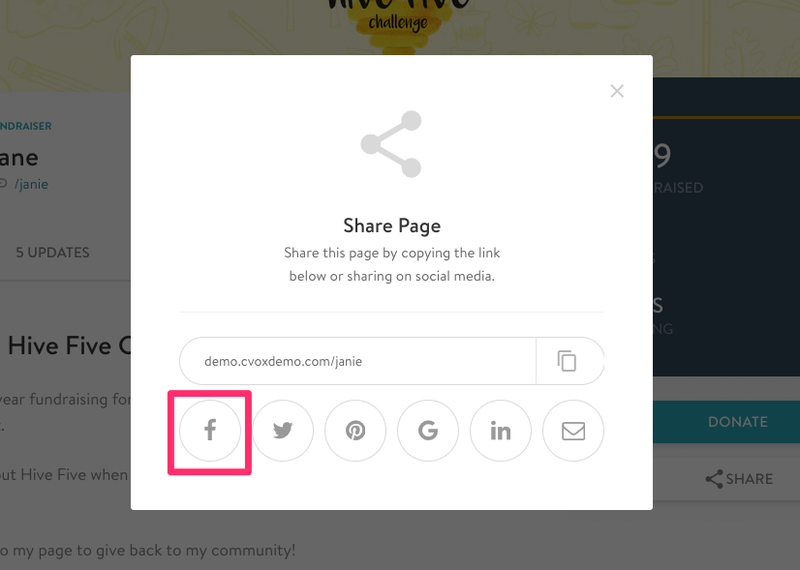 Step 2: Click on the Share button from your Dashboard menu. 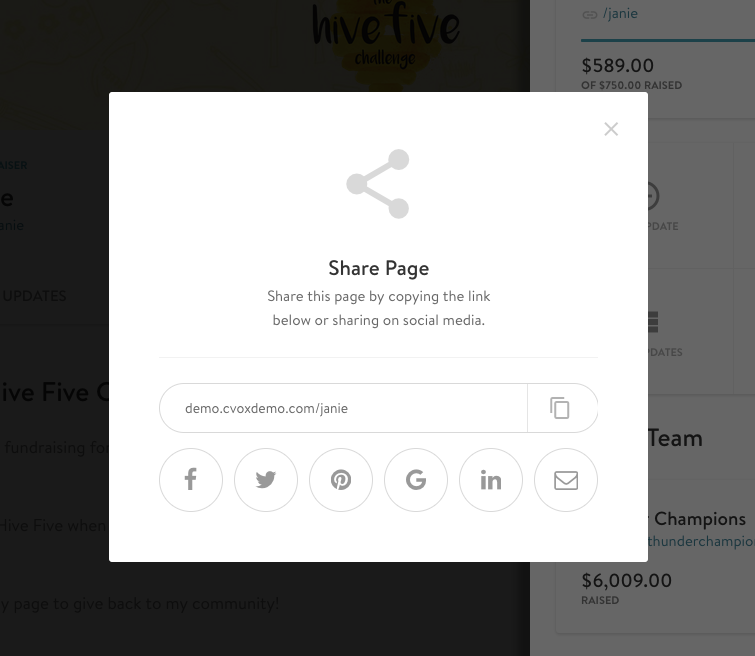 Note: From this screen, you can share a styled email out to your community by selecting the Email icon. 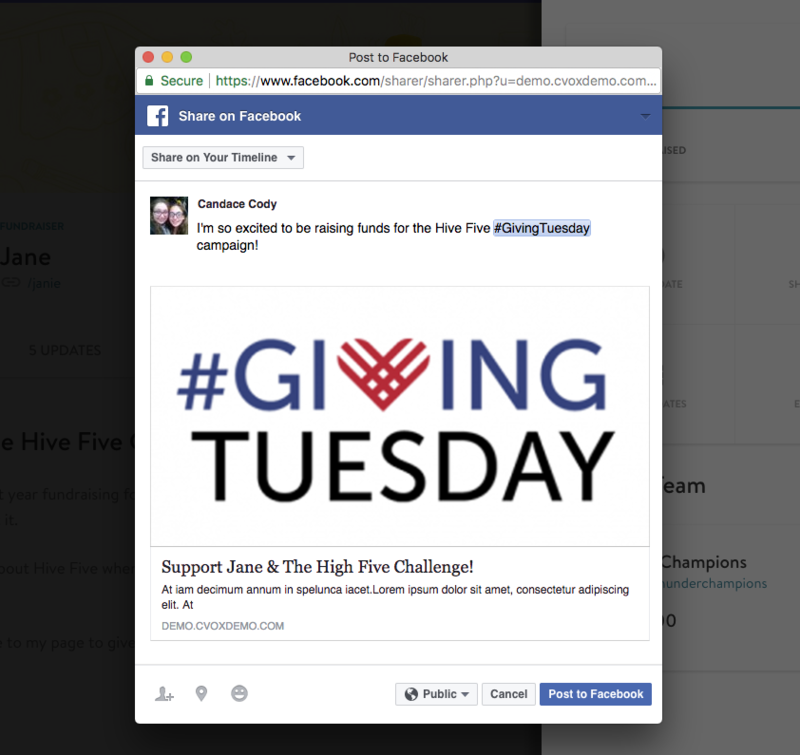 View more information on Sharing Your Fundraising Page Through Email.